Can you beat liver disease with this popular beverage? 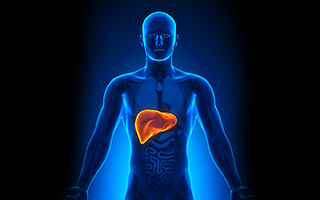 Abnormally high liver enzymes are serious. They can increase your risk for diabetes, heart disease, non-alcoholic fatty liver disease, cirrhosis of the liver, and liver cancer. Fortunately, you may be able to lower this risk by drinking one of your favorite beverages. A new study found that drinking coffee, both regular and decaf, can lower your risk. But what's really great about this study is that the researchers also found out how much you need to drink to experience the benefits. Dr. Qian Xiao at the National Cancer Institute in Bethesda, Maryland, led this study and published it in the journal Hepatology. Dr. Xiao and his team wanted to know if the protective nutrients previously found in caffeinated coffee also were present in decaf. And they also wanted to know how much you should drink to experience these benefits. The team had participants record their diets on a daily basis and measured their blood levels of liver function markers. These markers include aminotransferase (ALT), aminotransferase (AST), alkaline phosphatase (ALP) and gamma glutamyl transaminase (GGT). They found that when participants drank three or more cups of coffee a day, their liver enzymes were lower than those of participants who did not drink any coffee. They didn't find any differences between participants who drank regular or decaf coffee — it was the coffee itself that made the difference. What does coffee contain that could explain this phenomenon? It's simple. Coffee is high in antioxidants. Antioxidants lower inflammation, and inflammation is at the root of most chronic illnesses. So if you're part of the more than 50% of American adults who drink about three cups of coffee a day, this is good news for your liver. If you don't drink coffee because you're worried about the caffeine, consider giving organic decaf a try. You'll experience the same benefits.